Designed for use as a junction box and pull box in commercial and general industrial applications. Flush covers must be ordered separately for flush mount applications. 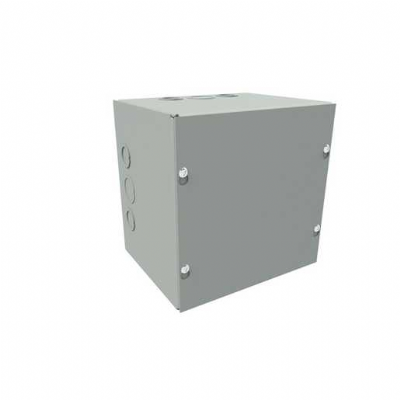 Gray Designed for use as a junction box and pull box in commercial and general industrial applications. Flush covers must be ordered separately for flush mount applications. Fabricated from 16 gauge steel. Flat, removable covers fastened with plated steel screws. Cover design permits easy removal without extracting cover screws. Mounting holes on back of box. Removable concentric knockouts on all four sides.